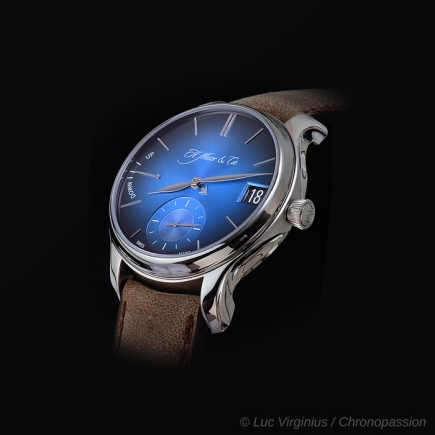 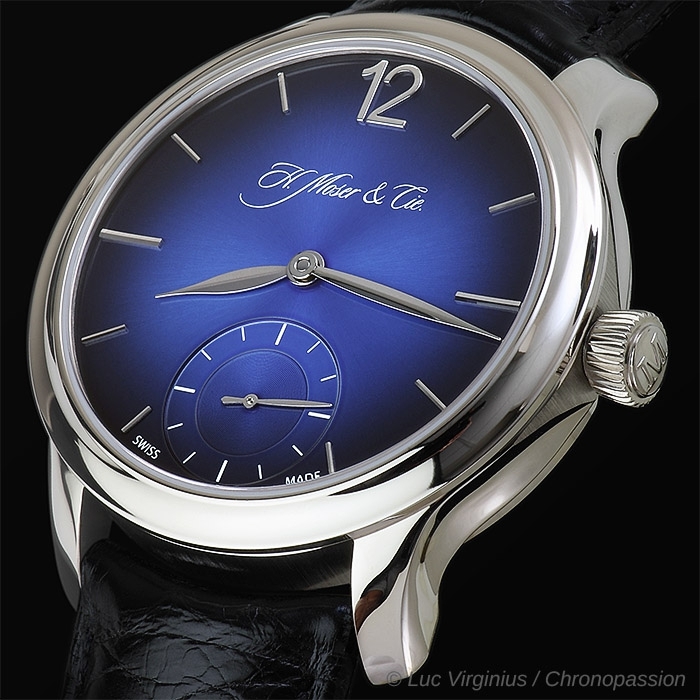 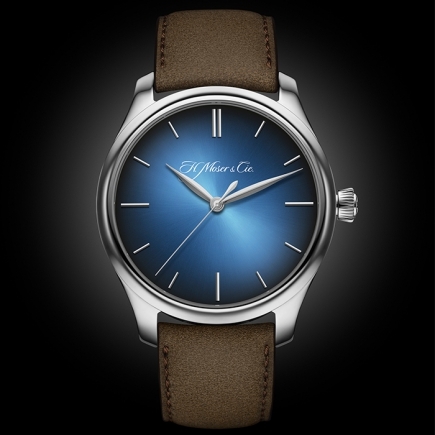 H Moser & Cie | 13'800 € Tax inc. 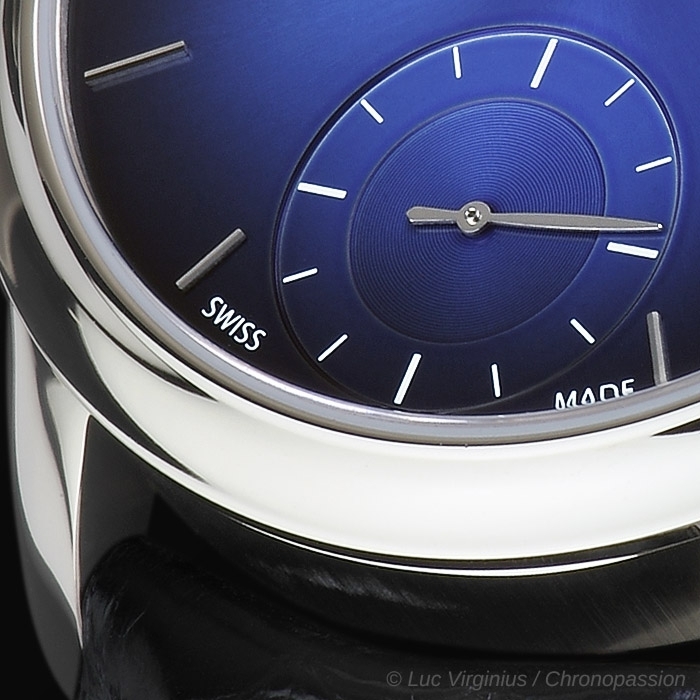 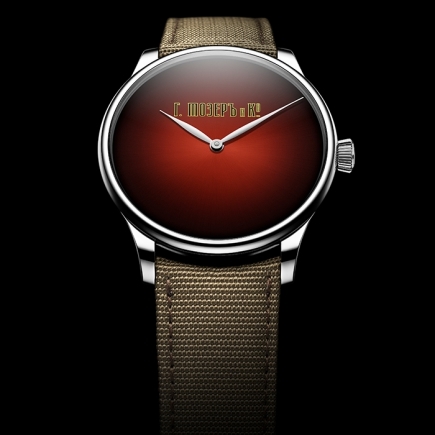 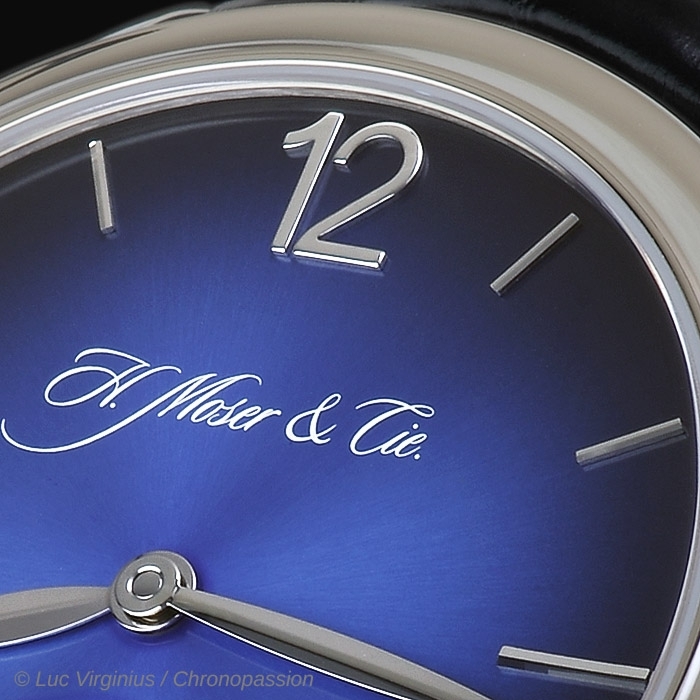 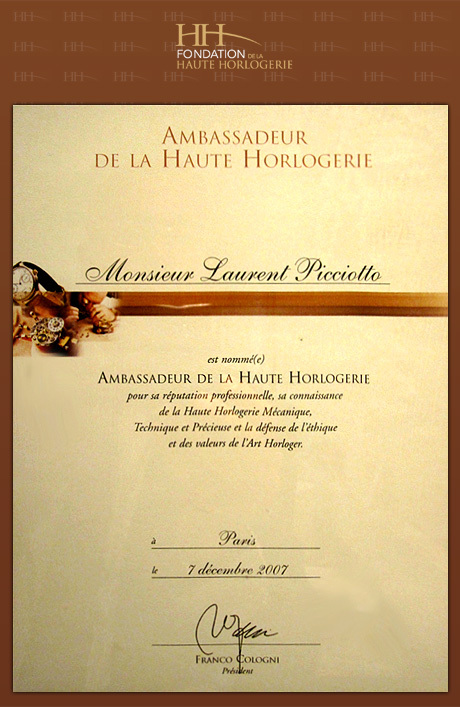 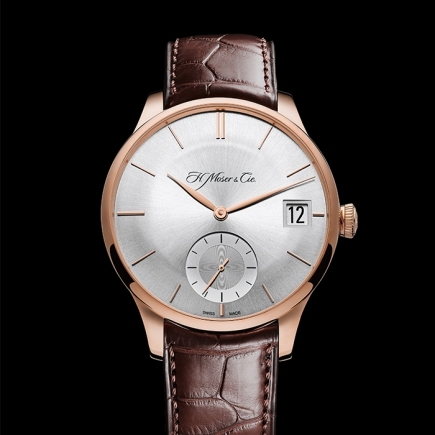 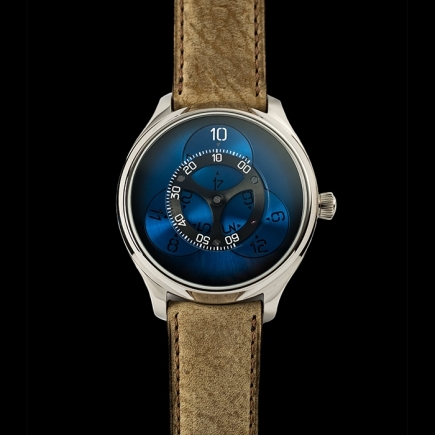 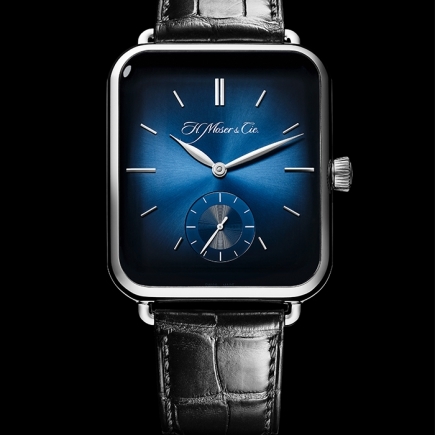 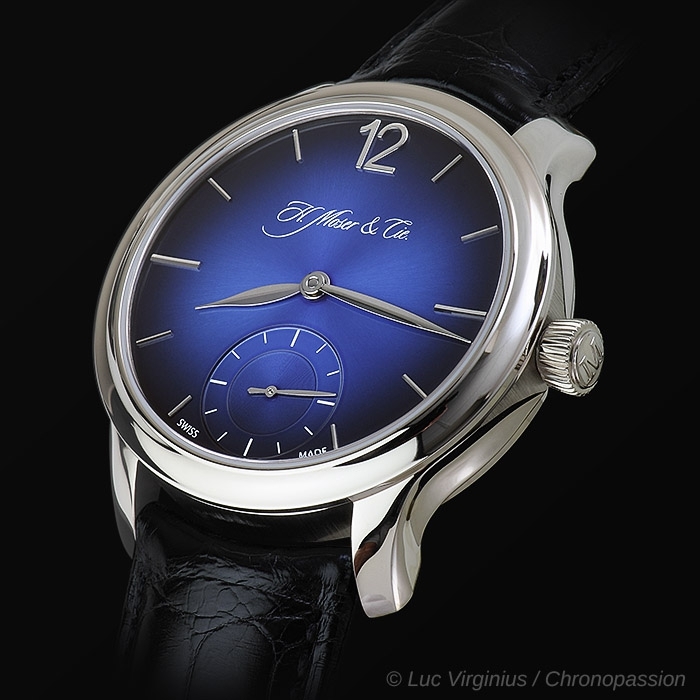 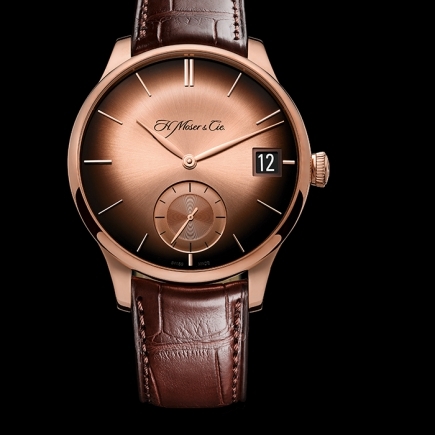 The classic H. Moser & Cie. model boasts new dials and new materials, offering up a feast for the eyes. 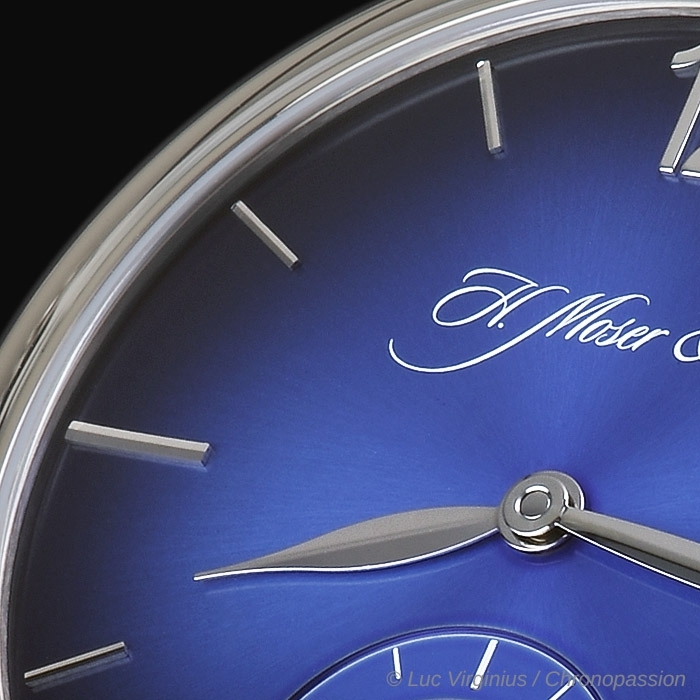 The collection, which bears the name of Heinrich Moser's first wife, comprises 7 models: these are variations on the theme of finesse. Refinement and elegance are the watchwords of the Mayu model. 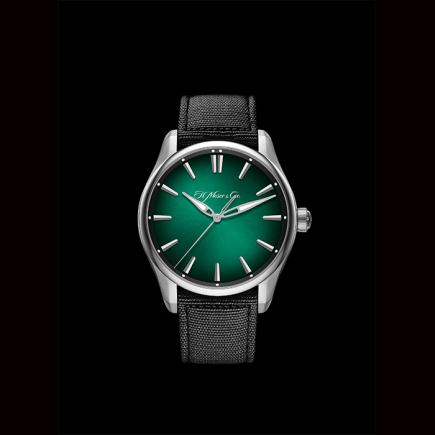 With its case 38.8 mm in diameter and 9.3 mm thick, this watch is perfectly balanced, providing wearability suitable both for men and women. 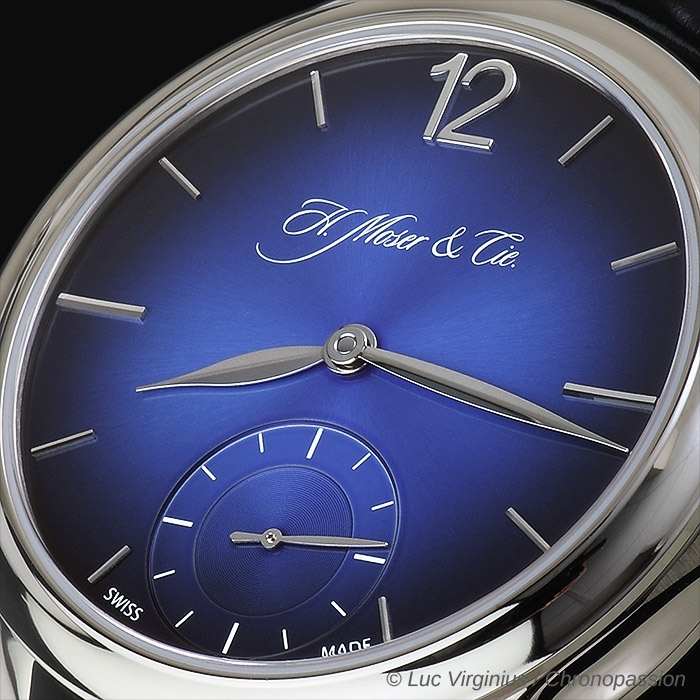 The harmonious design of its dial, exhibiting alternating appliqué and transfer baton indexes, lends it a classic aura, an impression reinforced by the off-centre large seconds hand, reminiscent of pocket watches of the period, with the oversized numeral 12, and by the large hands. 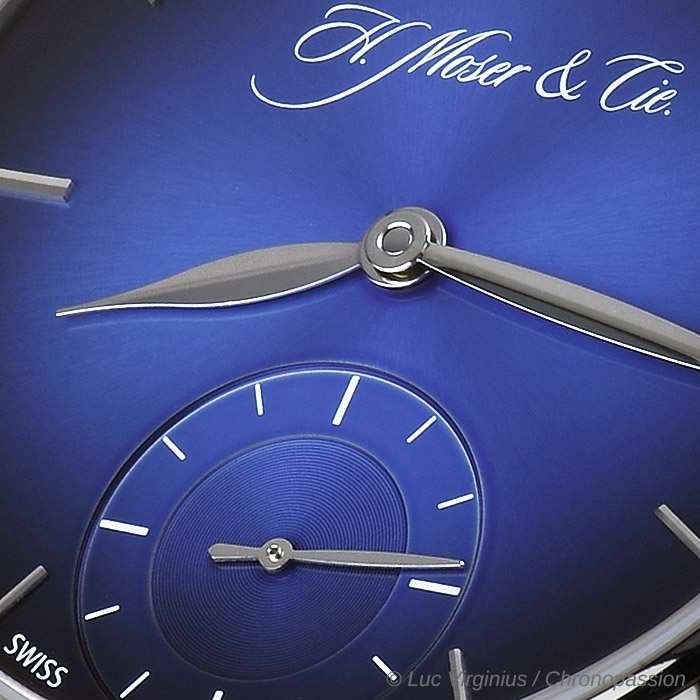 Visible through the sapphire back fitted on the case, the in-house manufactured hand-wound HMC 321 movement is the beating heart of the beautiful Mayu. 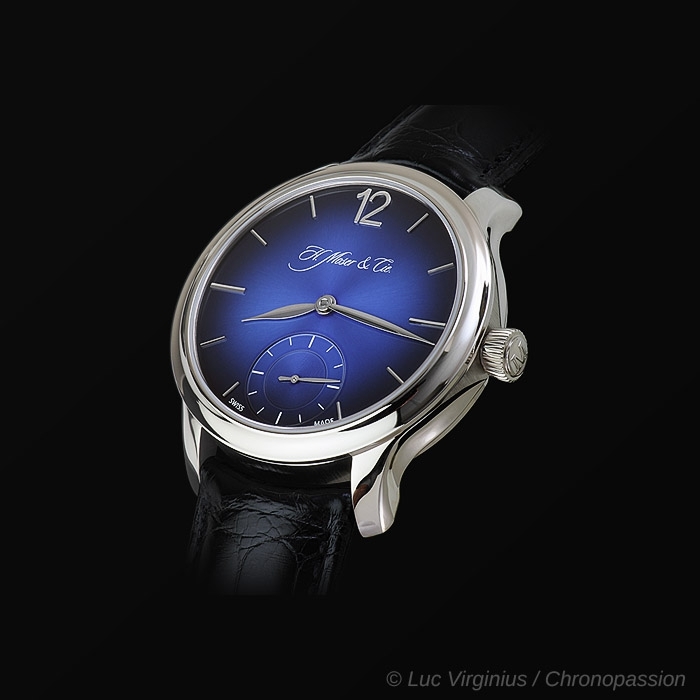 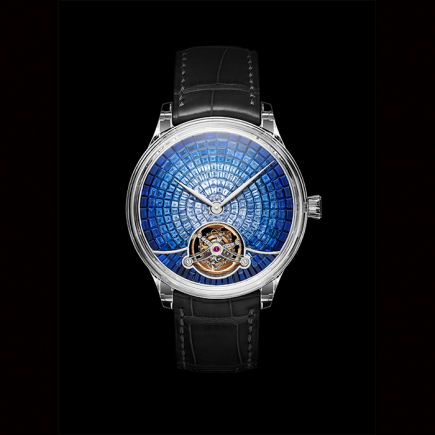 Equipped with a large barrel, it provides remarkable endurance, ensuring a power reserve of at least 72 hours. 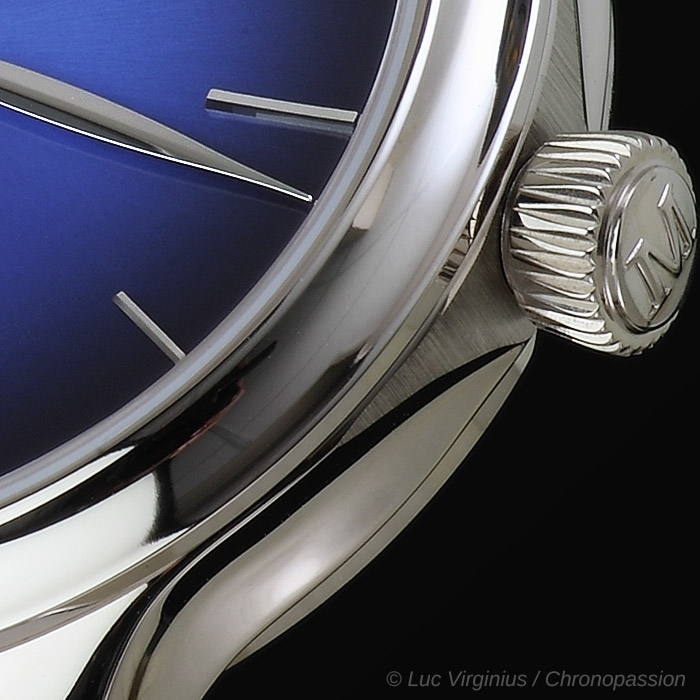 On the watch back, there is a power reserve indicator on the movement, to ensure that the movement is sufficiently wound to offer the best possible precision. 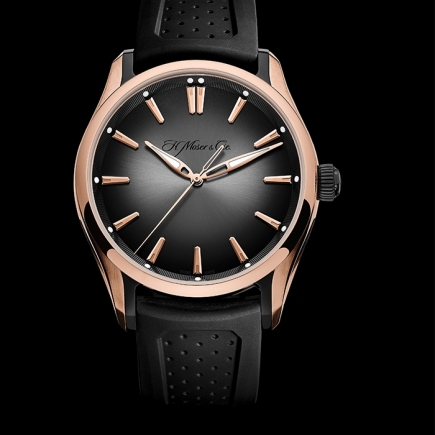 The Mayu collection represents the successful marriage between an elegant look and cutting-edge technology.